The new Travel Mug Bamboo is the environmentally friendly alternative, as predominantly natural raw materials are used! 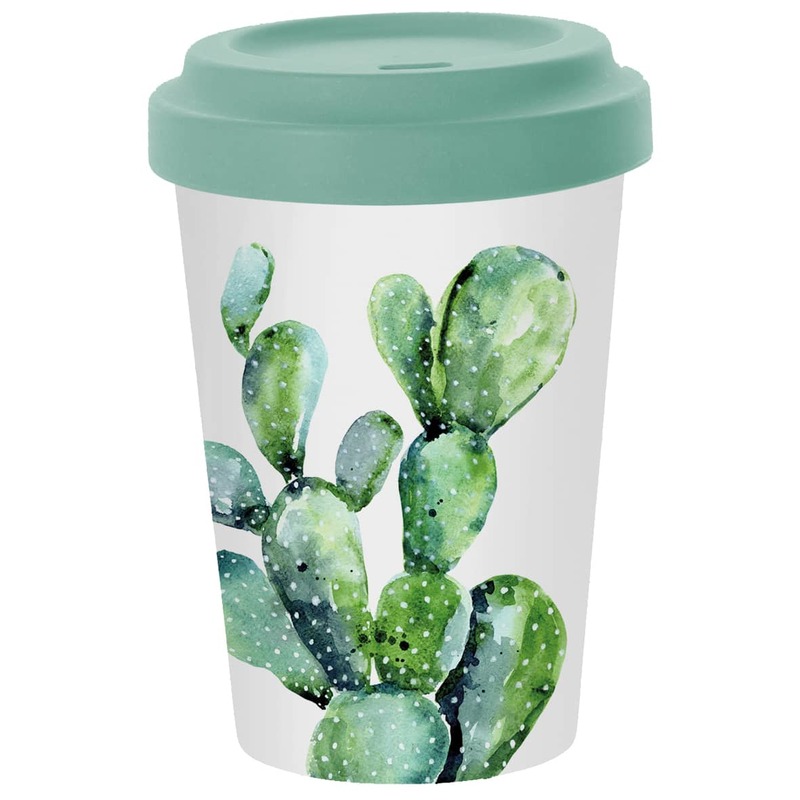 It is a reusable light Coffee-To-Go-Mug, decorated with many trendy designs. It is the perfect stylish companion for the road. Size: Capacity 400 ml. 13.6 x 9.8 x 9.8 cm. Care: It is dishwasher safe but unfortunately not suitable for microwave. Of course it is food safe, odorless and tasteless.